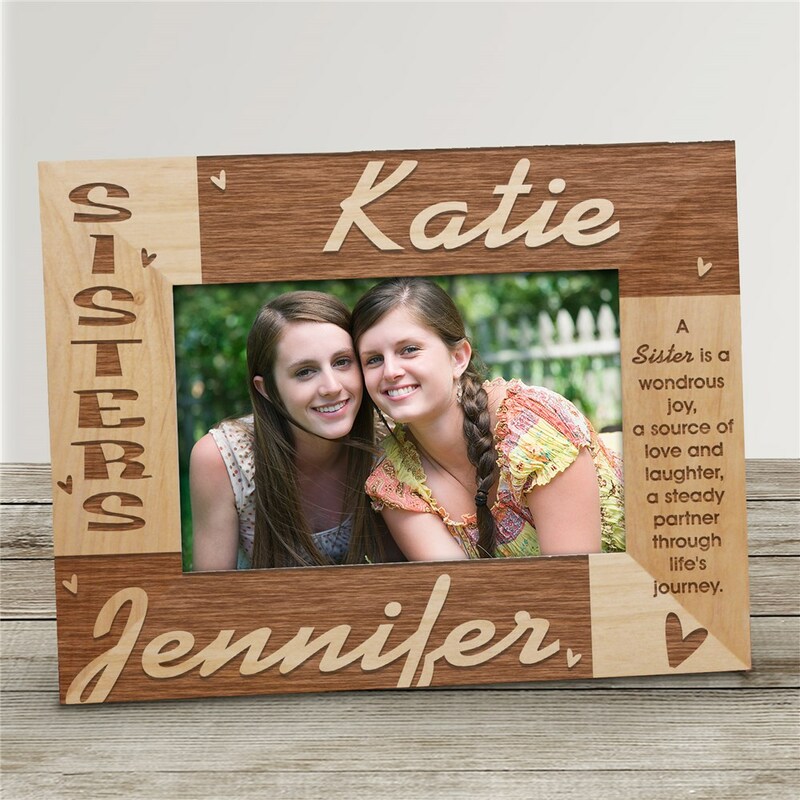 These Sisters Personalized Wood Picture Frames make a great gift to your special sister. Our Sisters Personalized Wooden Picture Frames come in three sizes, please choose from, 4”x6”, 5”x7”, and 8”x10”. Easel back allows for desk display or can be wall hung. Engraved personalization features the natural wood grain color. Engraved frame for Sister includes free personalization! Makes a great Gift for Sisters anytime of the year. Personalize your Sister Picture Frame with up to 6 names. a steady partner through life's journey. Love the likeness to the picture!